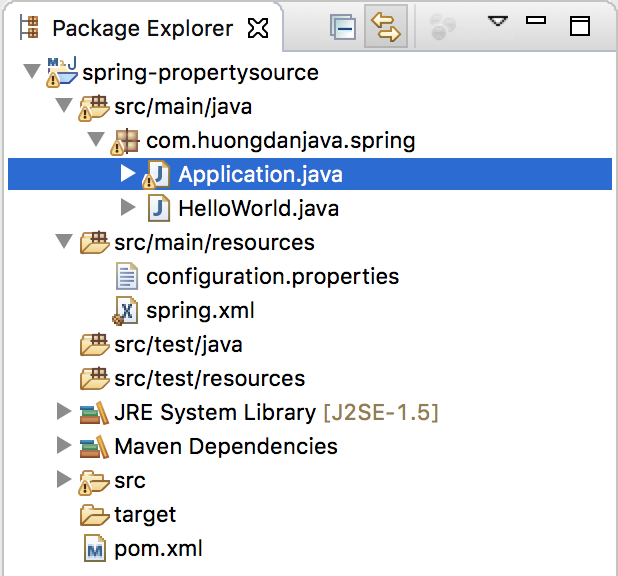 I’ve introduced you to reading the properties of files in Spring using the PropertyPlaceholderConfigurer object, the util namespace, the context namespace. 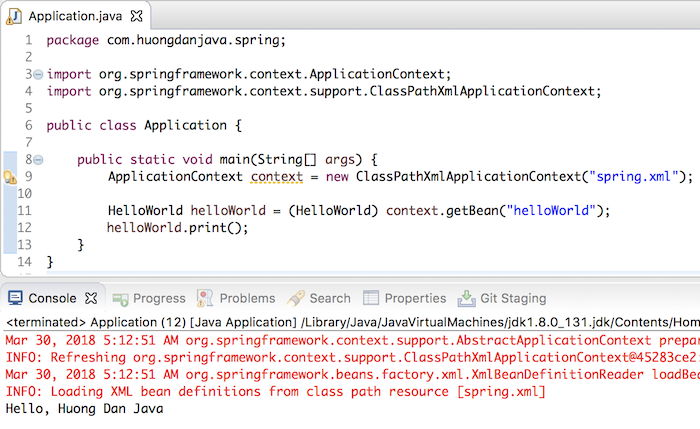 All of the above, we need to declare in Spring’s configuration file. 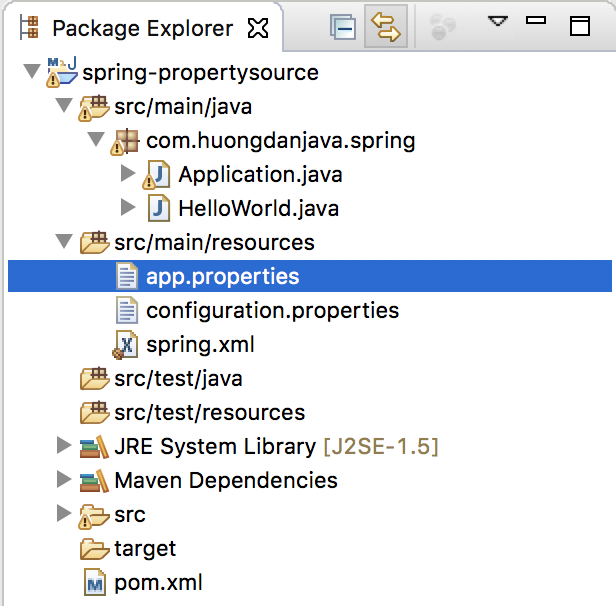 In this tutorial, I introduce you all to another way to read the properties file in Spring: that is, using the @PropertySource annotation. How is it in details? Please read on. Now, I will use the @PropertySource annotation to read the properties in the configuration.properties file, then the HelloWorld class will use. 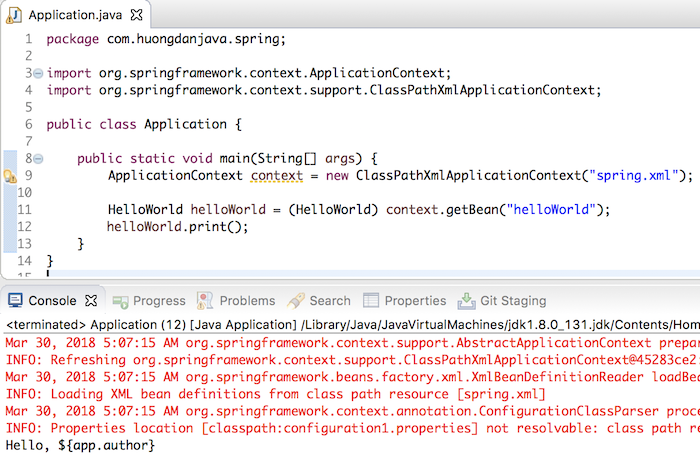 First, we need to use Spring’s auto component scan function to declare the HelloWorld object in the Spring container. 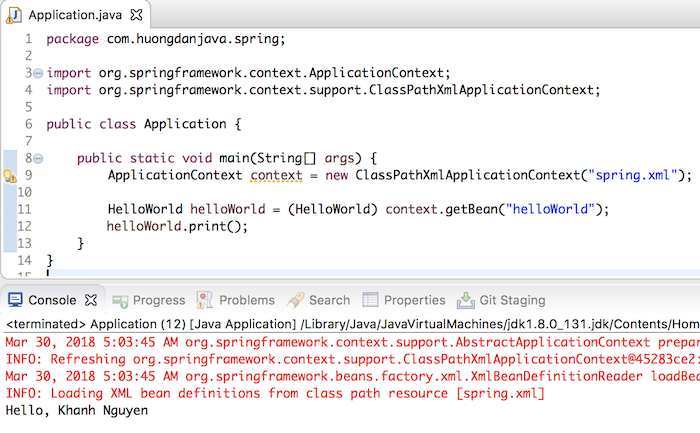 With this declaration, Spring will use the path as the value of the @PropertySource annotation to find the properties file and read all the properties contained in this file. In my above declaration, I used the classpath variable, which corresponds to the /src/ main/resources path, and then the file name. Now we can use the @Value annotation to inject the value of the “app.author” property into the value of the name attribute in the HelloWorld object. In case you have multiple properties files to use in your application, you can use the @PropertySources annotation with multiple annotation declarations @PropertySource. Of course, any property declared later will be used.